We had a cold snap in the Northeast a couple weeks back. Cold enough that I had to buy a fleece hoodie because I was stuck out at the mall without any outerwear. All this chilly weather got me thinking about fingerless mitts. They’re such a great little project – they go quickly, usually only take one skein of yarn, and like socks you can go wild with the colors and patterning. Here’s a sampling of some of my faves. 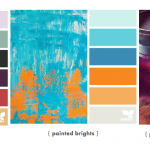 Either/Or by Lee Meredith – Great excuse to use small amounts of 2 colors. And like most of Lee’s patterns, they work for any gauge. Simpliworsted by Charles Parker – Love the smocking. How cool would they be if you added some beads to the smocking joins? Chimera by Julia Mueller – Another opportunity to use two colors without stranding! Instructions includes a full mitten as well. Bergen Street Mitts by Erin Ruth – Refined and feminine, I imagine wearing these with a long, tailored 40s-style coat. Fingerless Pomatomus by Tobi Beck – I love knitting little shell shapes, so these have been on my radar for quite a while. Proposition Entrelac by Julie Browne – Fabulous excuse for some long gradation yarn. They would also work well with self-striping yarns too. Marywarmers by Lisa Reeve – The curving ribs really drew my eye, and I bet they’re super comfy to wear too. The ribbing also makes them a forgiving fit for gifts. Swirling Gauntlets by Susanna IC – what savannahchik pattern round up would be complete without a Susanna IC design? What about you? What are you favorite mitts? 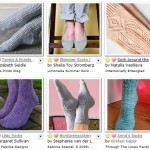 Or what’s on your radar that you *must* knit this year? Friday Faves, mitts and gloves. permalink. Great patterns, thanks to share! I am with Tina, wish we had a cold snap. But heck, we can always pretend and still wear woolies. Lovely mitt ideas, Jody. I am drawn to those Bergen street mitts! Great roundup this week, thanks! I was walking the dog this morning and thinking about fingerless mitts, hoping for Fall. I came home to this inspiration/validation. I always love the patterns you select! 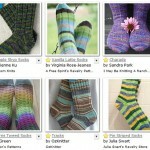 Some of those I’ve already seen/fav-ed on Ravelry, but some are new. They’re all great!